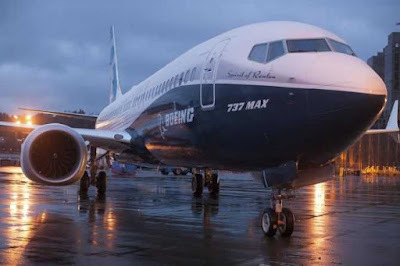 India Banned Boeing 737 MAX Aircraft - India, Britain, France and Germany became the latest countries along with Australia, Singapore, Oman, Malaysia to ban Boeing 737 MAX aircraft in their airspace. The development comes two days after a similar Boeing model flown by Ethiopian Airlines crashed near Addis Ababa, killing all 157 people on board, including four Indians. China and Ethiopia had decided on March 11 to ground their entire Boeing 737 Max 8 fleet citing the recent crash and another deadly accident of that same model in Indonesia last October. Google Doodle Celebrates 30 Years of WWW- Google Doodle on March 12, 2019 celebrated 30 years of the World Wide Web (WWW), an invention of Sir Tim Berners-Lee. 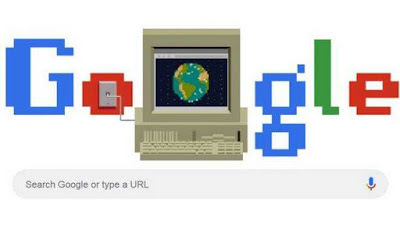 The doodle showed the Earth revolving inside a computer connected to a switch on its letters. In 1989, Sir Tim Berners-Lee, submitted the 'Information Management: A Proposal' to his boss while working at Europe's CERN Lab, a large nuclear physics laboratory in Switzerland. This proposal is what came out as the first web browser, the World Wide Web. 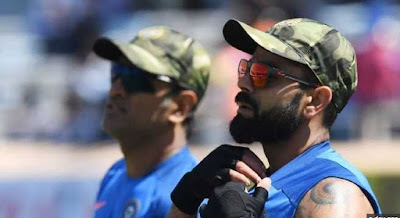 ICC Granted Permission To Wear Camouflage Military Caps - The International Cricket Council (ICC) said India was granted permission to wear camouflage military caps in the third ODI against Australia as a tribute to the country's armed forces, a gesture which Pakistan has objected to. On March 8, 2019, in Ranchi, the Indian team sported military caps as a mark of respect to the CRPF personnel who were killed in the Pulwama terror attack and donated its match fee to the National Defence Fund. Aahar - the International Food and Hospitality Fair - The 34th edition of Aahar - the International Food and Hospitality Fair commenced in New Delhi. The five-day fair, organised by India Trade Promotion Organisation, ITPO, features wide range of food products, machinery, food and beverages equipment, hospitality and decor solutions, confectionery items from over 560 participants from India and foreign countries. Election Guidelines For Plastic Use - In the backdrop of India’s commitment to eliminate all single-use plastic in the country by 2022, the Election Commission has asked all political parties and contesting candidates to desist from using environmentally hazardous material like plastics in banners, hoardings, cut-outs and other poll-related articles during upcoming general elections. Bajrang Punia Won A Gold Medal - India's star wrestler Bajrang Punia won a gold medal in 65 kilogram freestyle at the International wrestling tournament, “Dan Kolov – Nikola Petrov” in Ruse, Bulgaria. Bajrang Punia overpowered Jordan Oliver of USA 12-3 in the final held on March 10, 2019. Dipa Karmakar Was Selected As Barbie Role Model - Indian gymnast Dipa Karmakar was selected as Barbie role model & was presented with a one-of-a-kind doll by Barbie as the company celebrates its 60th anniversary. She was part of the ‘Shero’ program launched in 2015 by the company.